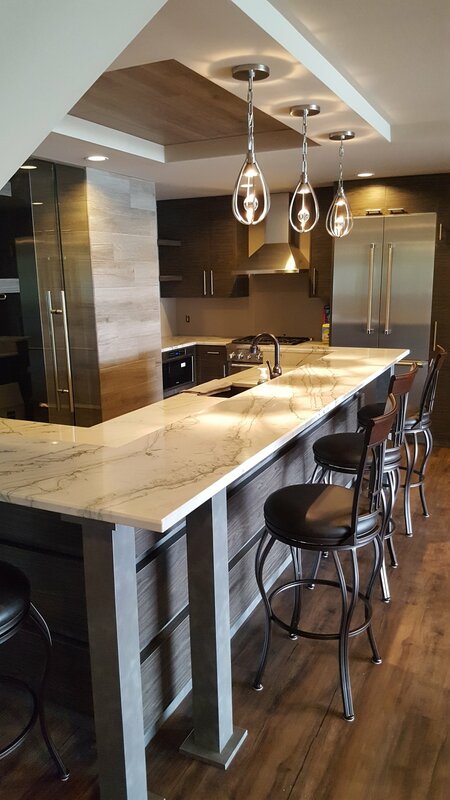 Do you remember the Kitchen we designed and installed for an Orchard Lake client? Well, we also installed a bar for them! The bar keeps with the European style of their new kitchen. Wood Tailor crafted this sleek addition to their kitchen with specialty boards, metal legs, and plenty of counter space. Marble countertops and floating wooden shelves work to smoothly integrate the bar’s aesthetic with that of the kitchen.